We all know the basic parts of a story: introduction, rising action, climax and the falling action (or denouement). But if those are the only parts of your story, something is definitely going to be missing. The next two important parts of your story are going to be the situation and the complication. Most writers tend to get the two confused or simply use just a situation. 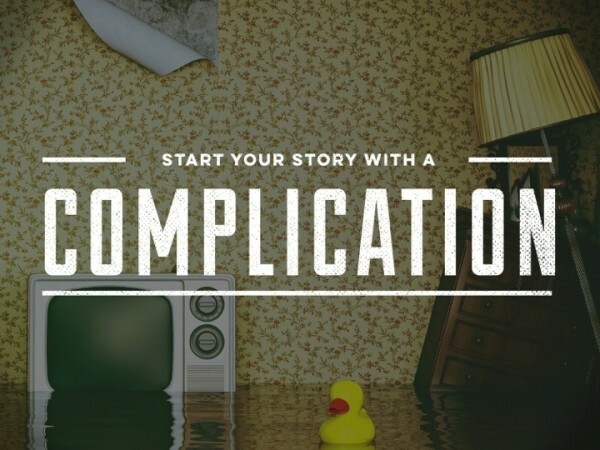 Figuring out how to correctly use situations and complications can take your story from a one to a ten. A situation is what is going on in the story without all the pizazz. It's simply the characters are going to a new school this year or a character is about to get married for the first time. It's the bare bones of the plot line. The complication is what's going to mess up the situation. Following the examples above, the character's new school is run by cannibals who eat their students and the woman actually is in love with her fiance's brother. When you begin plotting for a new story or you've simply come to a section of your story and thought 'where is this going? ', it's a good idea to write down the situation and the complication. If you find that there is only a situation or a complication or that they are one and the same, you've found your problem. In a long story or a novel, you are going to have multiple situation and complication sets. You will most likely have one for the entire novel and one for each chapter and perhaps one for a scene or two. The situation/complication set in the scenes should help resolve the situation/complication set in the chapters which should help resolve the situation/complication of the story as a whole. Here's a couple of good examples and bad examples from stories most of us should know. Situation: Hogwarts is hosting the Triwizard Tournament and only three seventeen year-olds will be able to compete. Complication: Harry Potter, a fourteen year-old, is picked to compete in the Triwizard Tournament. Situation: Loki is high key angry at his family because of what happened in the first Thor movie. Complication: Loki is able to get help from the Other's army to take over the world and get back at his brother. Situation: Bella Swan smells really great to vampires and is able to attract them easily. Complication: Bella Swan smells really great to vampires and is able to attract them easily. Situation: Life is boring on the farm and tensions are running high. Complication: Life is boring on the farm and tensions are running high. Do you see the difference? The stories under bad examples aren't bad stories. They have all the basic ingredients to a good story, but they're missing a complication. They're missing the proverbial salt and pepper of the story. Just like the stories under the good examples aren't necessarily good stories, they just have that third dimension added. Complication: Bella Swan is terrified of vampires and want's them to leave her alone. Complication: Rick and the group decide to leave the farm after only a week of being there, Hershel's daughter wants to go with them and Hershel forces them all to stay. The stories aren't necessarily better after the complication is added, but they are much more third dimensional. Situation: Character A is about to commit suicide but while they are getting everything ready, the phone rings. Complication: The caller accidentally called the wrong number and are now asking for help getting their car out of a river. Situation: There's a murderer on the loose in a small town. Complication: Everyone except the lead investigator agrees with who the murderer is killing and won't talk about anything/anyone, seriously throwing a wrench in the investigation. August 9th, 2015 at 09:44pm, jason todd.